When I last redesigned my website I went through this weird phase where I wanted to consolidate all my website features. I wanted to stop using plugins and integrate everything into the one “Nose Graze plugin” I have that’s full of my site’s features. Maybe it was a silly idea, but as part of that process I coded my own version of the CommentLuv plugin for WordPress. I do like how mine is a bit slimmer and prettier, so I thought I’d share that with you today! This plugin is super simple! Don’t expect bells and whistles. Since my goal for this plugin was to strip everything down, there is no settings panel. I included only the features that I’m interested in. If you want more options and customization, CommentLuv is a better choice than what I’m going to show you today. But if you’re interested in coding something custom (and building off of my code) or you just want something incredibly simple, then by all means keep reading. 😉 If you’re only interested in the final files, you can download them at the end. This code is completely backwards compatible with CommentLuv in case you want to migrate over. For my version, I just integrated the code into my existing site plugin, but for the sake of this tutorial I’ll be walking you through how to build a standalone plugin from scratch. The theory behind our plugin. Person fills out the form to submit a comment. If they enter in a website URL, then we perform an ajax call to get some more data from that URL. We use SimplePie to detect the RSS feed from that website URL and fetch a list of the blog posts. 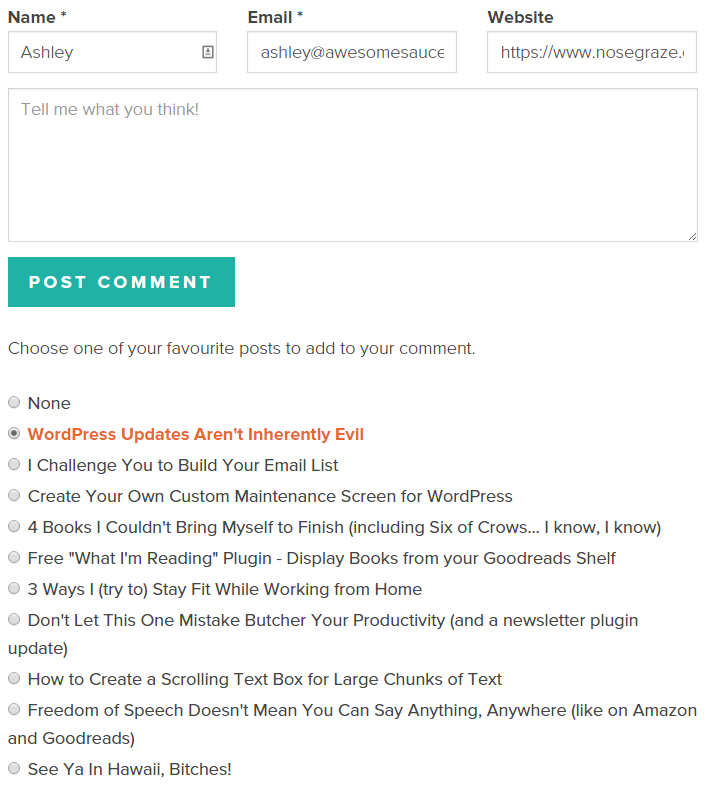 We send the list back to the comment form, allowing a user to choose one of those blog posts to display with their comment. When they click “Post Comment”, we send the chosen blog post URL and title back to WordPress and save that data with the comment. When we display the comment, we fetch that data back again and display the blog post title with the URL below the comment text. Create your new plugin folder and file. I named my plugin project ng-comment-love so that’s the name of my folder. Inside that folder, I created my ng-comment-love.php class. * @copyright Copyright (c) 2015, Nose Graze Ltd.
Before we move any further, let’s actually create that file. Add a few divs to the comment form. * Adds Comment Love fields to the comment form. * Checks that the URL field is filled out and a valid URL. // There's something in the URL field. // Is the http:// missing? * Gets the latest blog post from a URL. // If the URL isn't valid - bail. // Check to see if we've already gotten the results. // Make our ajax call. // Add each item in the result to our list. // Set up the hidden fields with the first result. // Handle the selection of the field. * Fills the hidden URL field based on the new selection. This code gets fired when the document finishes loading. It basically says: when the person clicks inside the comment text box, fire all of our other code to fetch the blog post. It calls the ng_get_latest_blog_post() function, which comes later. Further down, the ng_get_latest_blog_post() function performs a few checks. It checks to see if the URL box has been filled out. If not, it doesn’t do anything. It adds a progress bar spinner (via Font Awesome, which you must include separately) to one of our empty divs from before. This shows the user that we’re working! It makes an ajax call, passing through the site URL that was entered. Then it spits the response back (like the list of found blog posts). Now let’s go back into our main ng-comment-love.php file to set up the ajax function. // If it's not an array, we have a problem. First, we do a security check. If the nonce doesn’t match what we passed through then nothing will happen. Then we include a new file (which we’ll create in a minute) and use that to create a new instance of NG_Comment_Love. This NG_Comment_Love class handles all the fetching of post information. So let’s work on NG_Comment_Love next. Set up the NG_Comment_Love class. Create a new folder called includes and create a new file inside that called class-ng-comment-love.php. * Class that fetches the most recent blog post from a given URL. * URL to get posts from. * Number of posts to get. * Sets the number of posts to get. * Sets the number of posts we want to get. * Get recent blog posts from the URL. // Get posts from current URL. // If there was an error - try something else or bail. // If there are no items - bail. // Loop through each item and add it to our array. * Build platform-specific URLs and get those feeds. * First try to get a WordPress RSS feed. // We successfully got a WordPress feed - return it. * Next, try to get a Blogspot RSS feed. // We successfully got a Blogspot feed - return it. * Gets the latest blog posts from the current blog. * @return array|bool False on failure. // No posts - return an error. // Loop through each post and add it to our array. I’ll highlight a few things. First, we have a set_number_posts method. This is used to set the number of posts that are fetched and listed out. It defaults to 10 but you could change that. Anyway, let’s go back to our NG_Comment_Love class file. Our main method is get_posts(). This is what fetches the actual blog posts. It uses SimplePie to do all the heavy lifting. If the site’s RSS feed cannot be automatically detected, then we use the get_specific_feeds() method. This guesses the RSS feeds for WordPress and Blogspot blogs, then tries to get posts from there. Then, assuming we found an RSS feed, we collect the titles and URLs for the recent posts and send them back. Save the selected URL with the comment. So now we have a list of posts that the commenter can choose from, but we need to actually save their selection in the database. * Add Comment Love meta to the newly inserted comment. // If our fields aren't set - bail. This code runs when a new comment is inserted. It just sanitizes and saves the chosen blog post URL and title in the database (as comment meta). Display the post name and URL with the comment. Finally, the last step is to actually display the link to the post. * Adds the latest post name and URL after the comment text. * @param string $comment_text The comment text. * @param object $comment      Comment object. * @param array  $args         An array of arguments. This checks to see if the Comment Love data exists, and if so, it appends the post URL and title to the comment text. The final plugin you get below can be activated in WordPress and should work right out of the box! There’s a small settings panel in Settings > Comment Love. would this work on blogspot too? thanks! Sorry but it will not work on Blogspot. 🙁 On a free platform like Blogspot you don’t have enough permission or access to do complex server code like this. Way too cool! I’m definitely going to be trying this tutorial and seeing how to implement it on my site. I’m so over Disqus these days, because it’s totally messing up. I’ll log in to comment and then it stays showing me as not logged in, then on some sites I see myself as logged in and can comment but then on others it doesn’t show that. Weird issue, and considering my past history with Disqus and messing up my comments, I think it’s time to move back to the regular Comment System (or try something else). 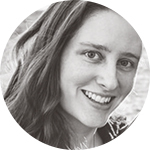 Oh quick question Ashley, is there an easy way to set commenters pic to be a default picture when they don’t have a Gravatar set up? This looks awesome, Ashley! It looks something I’d be using, and thank you for the awesomeness! Ariel @ Fictively recently posted: It should not be so hard to keep track of a series. Oopsies, thanks for catching that. 🙂 That’s quite a typo! No problem! Sorry I didn’t say something last time. You’re seriously a superstar. Thank you! I recently started trying to use CommentLuv, but it’s completely bloated and obnoxious. This is EXACTLY what I was looking for. I changed it to allow a simple opt-in to display only someone’s latest post, rather than choose from the most recent. Works perfectly! I only wish there was a way to get it to play nice with Jetpack comments. Any ideas? Sadly I’m not sure about making it work with Jetpack comments, as I don’t use Jetpack. You’d have to do some digging into the code to learn more about their comment display. This is perfect! I cringe every time I start using a new plugin because most of them seem to have so much more code than necessary. And I’m ridiculously perfectionist about having everything just so, and altering plugins is such a pain because you lose the work when they update. I’d love to code my own, but js and ajax is beyond my knowledge. Idk if I’ve ever commented, but I do read your blog a lot, and when I saw that you had coded your own commentluv-type plugin, I kid you not I was wondering how you did it because I wanted to do it, too, haha. So I’m definitely going to come back and do this when I have the time to actually concentrate. I’m a learn-by-doing person, so I’m sure it will be helpful! I’m so glad you find this useful Kristen! I prefer to consolidate everything. 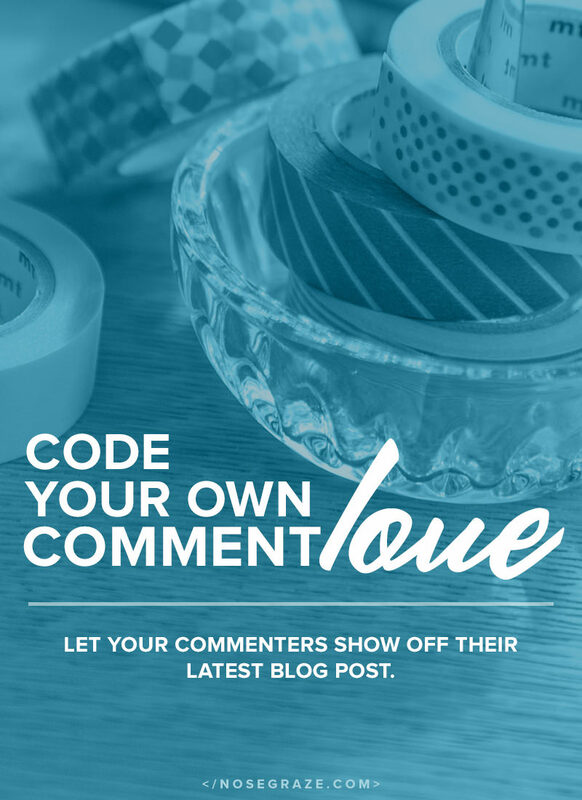 I’d rather have a simple, stripped down Comment Love that does exactly what I need than use a more bloated plugin that has settings for various possible combinations. Yay! Ok, so I’ve got it working and all prettified (please don’t hate me, I may have used the centered-under-the-comment idea because it looks so nice), but I have a minor issue. In my comments panel where I read/respond to comments, my css for the comment love part is showing up, borders and everything. Is that just something I have to deal with? Or is that happening because, instead of creating a css file, I just added some html to the ng-comment-love div in your php file? Thank you! See, I figured that… but I don’t know how to create a css file for a plugin lol. I wasn’t sure what sort of lines need to be added to call it? But now that I know what the problem is, I can try looking on Google so that I can stop bombarding you with questions. No worries, I figured it out! You learn something new everyday 😛 Now it works perfectly. i will use this plugin in my blog. i think it can use for increasing visitor attention. Thanks for the Plugin…Will be Trying out Right away! You keep spoiling us and I love it! I just added this to my blog and I can’t wait to see how it works. Intriguing and simple. Have you had any thoughts on adding in the more advanced features as well? I think it’s quite valuable to be able to ask users to register / tweet as part of the commenting process. I don’t have any plans to add that, but it’s not a bad idea. 🙂 You can use a similar method to add additional comment fields for whatever you like. CommentLuv is a great strategy to get more people and especially other bloggers commenting on your blog. Quick question (though probably a longer answer): Do you have any tips on combining things into one custom plugin? You can simply put each feature in a different file and use include in the main plugin file to include each other file. However, I’d actually advise against doing this. I’d suggest putting each big feature into its own plugin instead. At first I went the route of having one big “Nose Graze” plugin that had all the features I wanted (including this Comment Love one), and I massively regret it. I’m actually in the process of splitting everything back up into separate plugins. If you end up having another site where you want to use one of those features, you then have to go through a lot of effort to extract that one feature from the big plugin. I just think it makes a lot more sense from an organizational standpoint to have separate plugins. Then if you no longer want one of the features you simply have to deactivate one plugin rather than digging through a bunch of code to remove certain files/functions/etc. I installed the plugin, and it’s working for some previous comments, but I can’t seem to get the list (or even “None”) of posts to appear. Is there something I’m supposed to add to my theme’s comments file? Is your theme using the comment_form() function to display the comment form? comment_form() isn’t a framework – it’s the WordPress function you’re supposed to use to display the comment form. The plugin gets hooked into there. If you’re not using comment_form() then you should switch to using it. That’s best practice for a theme. I know it’s not a framework; I meant a lot of the code has been inserted manually. I’ll see if my new theme (considering my current one is three years old) works with it. Will this display the comment count for the post? I recently switched themes and I really like it – minus the fact that the post info (Date, Author Category area) does not have that little comment bubble with the # total. I have been googling to find a way to display the comment count for each post again so visitors can see the engagement. I googled so much that it made me verify that I was in fact human. lol So long story short will adding this make my bubble come back? Thanks! No, sorry! This does something totally different. thanks for the amazing tutorial for the comment luv plugin. i was looking for that for a long time. now my research is done.!! This was a much-needed plugin. As I am new in blogging and I wasn’t looking forward to buy Commentluv PRO plugin. And thanks to you for sharing this with me(and all readers) for free. I’m just giving this a test run… love the idea! I installed and activated this plugin but it seems it’s not working? Can you please check, my website is https://www.heykymmie.com. I’m not using any plugins for comments rather than the “discussion” or “comment” feature of JetPack. Thanks for sharing this amazing and very helpful tutorial with us. It will be very helpful for us. I will try my best to learn and implement these techniques. Thank you and All the best for your future ahead.